What to say about Whitney? She always seemed distant, imperial, unknowable – not someone it was easy to imagine getting on with personally. So I’m not driven to write the sort of gushing OH NO SHE’S DEAD post I did when Amy Winehouse or Elisabeth Sladen died. But her music’s been a huge part of my life for 25 years. I listened to her second album pretty much daily when I was a teen, and I passed the first Christmas Eve I ever spent alone listening – tragically – to I Will Always Love You on repeat. So let’s celebrate those amazing songs, and in particular her way with a key change. Some turn their noses up at this forced way of adding drama to the closing parts of a song, but I’m a sucker for them. Here are my top five. (And despite the title of this post, there’s no Didn’t We Almost Have it All – that song rocks back and forth between two keys all the way through, and I’m looking for the classic manoeuvre: a cynical shunt-up at the end that takes the final chorus (or two) to another level). It’s a key change that comes out of the blue with no build up, so you could call it a cheaty and reprehensible one. Suddenly the chorus is kicked up the arse! But this is Whitney, and she makes what could feel like an enema sweet and joyful. We dance. Coming out of a (yes!) sax break, Whitney flutters around in the high ranges as she introduces the new key, which on this occasion comes with a FREE GOSPEL CHOIR. This is key-change as ecstatic rapture. Absolutely magnificent – Whitney dicks about on the original dominant chord in a HUGE sweep on ‘DON’T… MAKE… ME…’ before launching into ‘CLOSE’ a couple of keys further up. Dramatics. A proper gospel key change. Whitney repeats the last line of the bridge: ‘NOW I KNOW… NOW I KNOWWWW’ in the dominant chord of the new key to take us through, and it’s immediately followed by a modified chorus with a couple of heart-stopping pauses. Textbook. Whitney’s Olympic moment. Stand aside, The World. In the most dramatic and swooping of bridges she tells us ‘YOU’RE A WINNER! FOR A LIFETIME!’, before her voice carries the modulation over martial drums: attacking the high notes to force the transition, before swooping immediately down by more than an octave to complete it. The chorus blasts in with a parp of heraldic brass. Glitter cannons are fired, tinsel showers fall, and we’re all winners – if not for a lifetime then at least for a minute and a half. God help anyone who attempts this at karaoke (I’ve tried). And pity whoever has to sing this at the Olympic opening ceremony in London this year. Pity us if it’s Jessie J. Whitney deserves better. 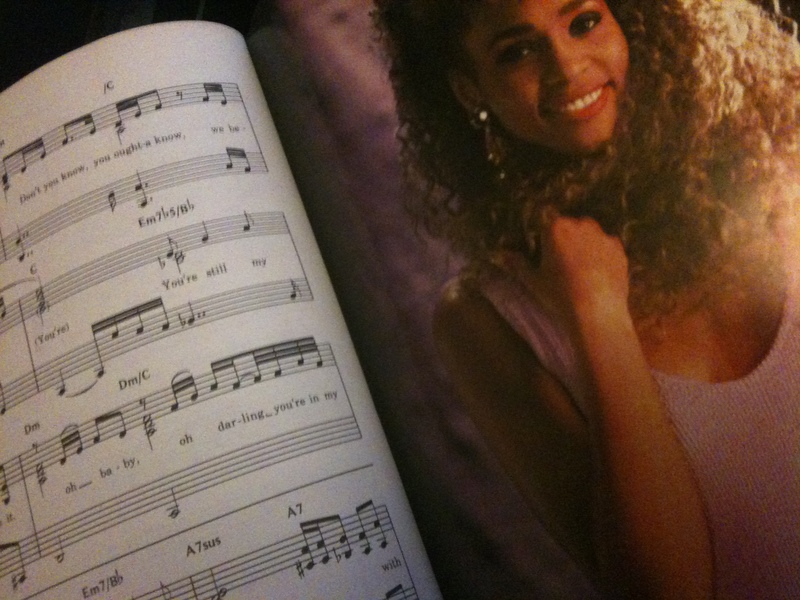 This entry was posted in Playlists and tagged death, key changes, music, whitney houston. Bookmark the permalink.